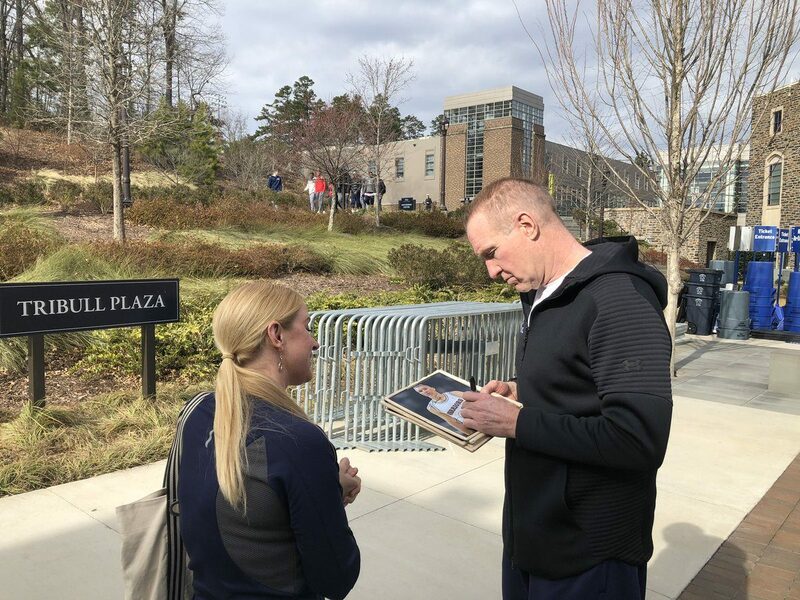 DURHAM, N.C. –– As Chris Mullin walked out of Cameron Indoor Stadium following St. John’s practice on Friday afternoon, a woman approached him for a series of autographs. 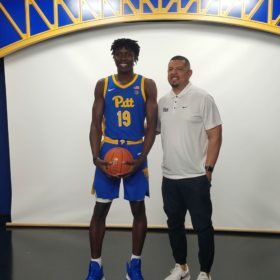 Making his first appearance on the Duke campus in nearly four decades, Mullin was glad to oblige and signed several pictures of himself in a Pacers jersey. Mullin certainly respected Duke coach Mike Krzyzewski, but he also broke his heart in recruiting. Krzyzewski first saw Mullin play basketball at the Five Star Basketball Camp at Robert Morris University in Pittsburgh in the summer of 1980. 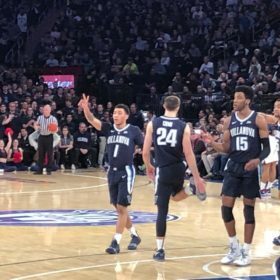 Krzyzewski, who had yet to morph into the great “Coach K,” had just taken the Duke job that March after five seasons at Army and figured Mullin, the sweet-shooting guard out of Xaverian High School in Brooklyn, would be a great get for one of his first recruiting classes. In early 1981, Krzyzewski, thinking he still had a chance to land Mullin, flew into New York City to meet with him at the Wheelchair Classic at Mater Christi High School in Astoria, N.Y. Mullin had just led Xaverian to the New York State championship in Glens Falls. Konchalski sat with Krzyzewski at the game and to this day recalls the coach’s emotions. Mullin ultimately chose to stay home and play at St. John’s for Lou Carnesecca instead of venturing South to play for at Duke. Mullin had grown up attending Carnesecca’s camp. 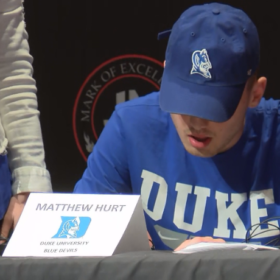 “Coach K recruited me out of high school but you can only pick one school,” Mullin recalled a year ago. Nearly 40 years later, Mullin is the coach of St. John’s and he’s making his first trip to Duke since those recruiting days. Zion Williamson, the object of Knicks’ fans desires, and No. 2 Duke host Shamorie Ponds and St. John’s at noon on Saturday (ESPN). “Obviously playing in a historic building, a historic basketball team is awesome, but when the game starts it gets back to playing the game,” Mullin said Friday. A year ago, Mullin and St. John’s shocked No. 4 Duke, 81-77, at Madison Square Garden. Still, Mullin has wondered what it might have been like had he selected Duke over St. John’s. “A better what?” he was asked. 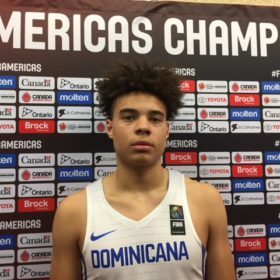 Konchalski recalls an article during that time in Inside Sports magazine howing all the top recruits for which Duke and Coach K came in second. That list included Mullin, Bill Wennington from Long Island Lutheran who went to St. John’s and on Uwe Blab, the German player who went to Indiana. Coach K, of course, went on to do pretty well in recruiting. 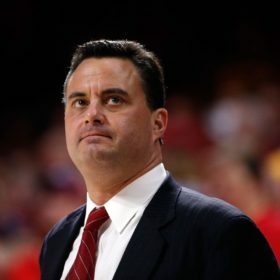 The next year he had a breakthrough recruiting class that featured Johnny Dawkins, Mark Alarie, David Henderson and Jay Bilas. That group led Duke to Coach K’s first Final Four in 1986. This current freshman class made history be including the Nos 1, 2 and 3 recruits in the Class of 2018 in R.J. Barrett, Williamson and Cam Reddish.